Dynamic new fitness studio, Anarchy45, has just opened in Birmingham city centre following a £1.8 million investment and we’re offering one reader the chance to win a course of 12 personal training sessions at the Temple Street Club. With its high-profile client list including footballers and TV personalities, along with its rebellious attitude, Anarchy45 is set to put Birmingham on the fitness map and is quickly becoming the place to work out in the city. 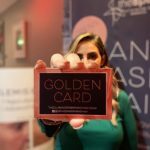 The lucky winner will be following in the footsteps of celebrities such as former Real Housewife of Cheshire, Leanne Brown, who is official ambassador for the brand and trains with the club’s Founder and Director, Trey Lawrence. Trey is delighted to be working with Leanne and believes her style, talent and passion for health and fitness makes her the perfect fit for Anarchy45. Their partnership also stems from their shared entrepreneurial and philanthropic work. Anarchy45 offers personal training and a range of classes such as Pilates, Barre, Spin, Rumble, 9 Rounds, Hot Yoga and Tread & Shed. One winner will receive a course of 12 personal training sessions spread over 12 weeks. And those who don’t win can take an advantage of an introductory membership offer of £69 per month for a limited time only by quoting “Prepared30”.